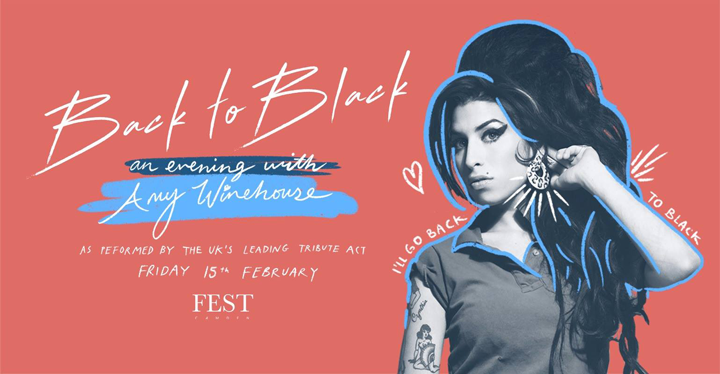 Valentine’s at Camden Market with Motown Supper, Cupid’s Cabaret, Valentine’s Rooftop Cinema and an Amy Winehouse Back to Black live tribute. Having welcomed thousands of people into their multifaceted venue over the festive period, FEST Camden now look to the lovers. Throughout February the historic spaces will be theatrically and thematically transformed to offer myriad cosy ways to spend an afternoon or evening, from romantic films at the Camden Rooftop Cinema to Cupid’s Cabaret via a special Motown Supper. This inclusive series caters for happy singles and groups of friends as well as lovers. Friday 15th February is National Singles Day, so why not mark it with a trip FEST’s Winter Chalet for rooftop cosy cubby holes with blankets, mulled wine and boozy hot chocolate? Or join in a celebration of the legendary Amy Winehouse for ‘An Evening With…‘. It will see a fantastic tribute and backing band play the soul great’s most moving album, Back to Black, in full, so will be a great one to lose yourself in, with the option of seeing the show only, or combining it with dinner. Failing that, if you want to get down, Friday night club event Drunk In Love is where you can party till you drop at FEST Camden from 10pm, all in a friendly and colourful environment.